Each of the kids were sent a Remote controlled Inflatable from Bladez Toyz a while ago and I promised them that what we would do with them is inflate them all together and make them race to see who wins. That was easier said than done with it being dark as soon as they finish school! Of course kids are like elephants and never forget and the excitement has been crazy. Even I have been excited to put them to the test. 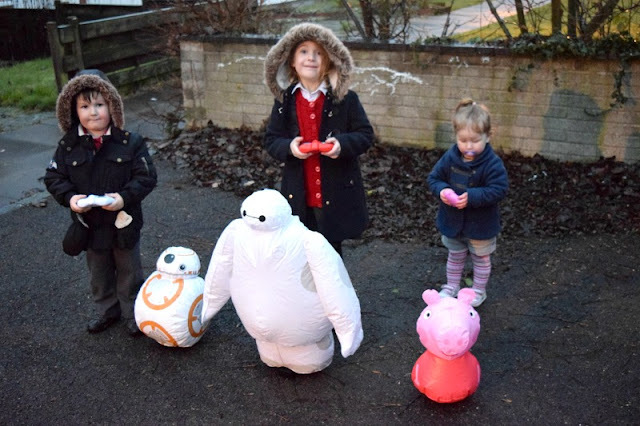 Gracie was sent Baymax, a giant inflatable, Zach was sent BB8 which is a smaller sized inflatable and Elsie was sent Peppa Pig from the pre-school range. 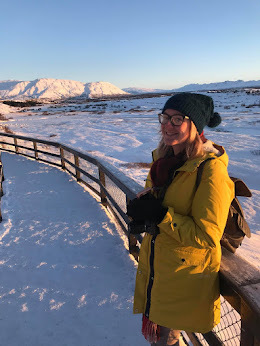 Anyway, last week I got around to inflating them all while the kids were at school so they were ready to take out as soon as we were home. So the race turned out to be a hilarious fail. Did anyone win? Watch the video below to find out. 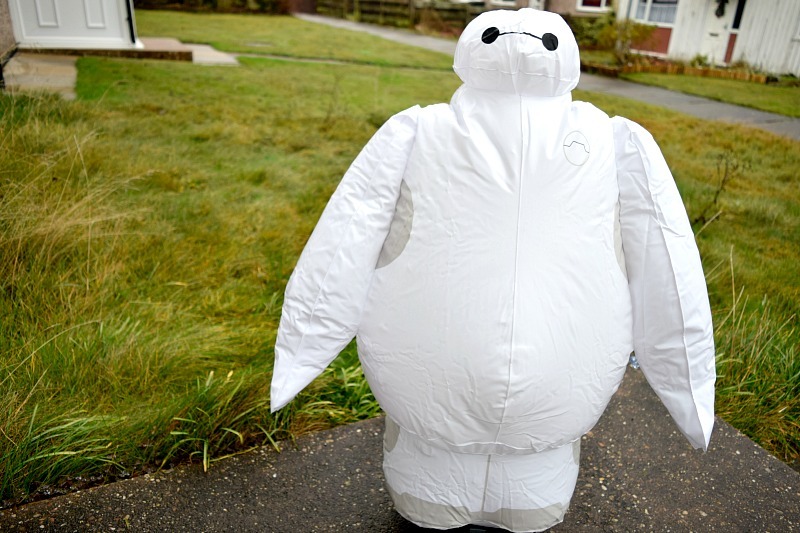 Each inflatable has a battery pack on the bottom which powers them to move and the remote controls are also battery powered. Baymax is quite heavy and so needs the small plastic legs attaching to stop him from falling over. 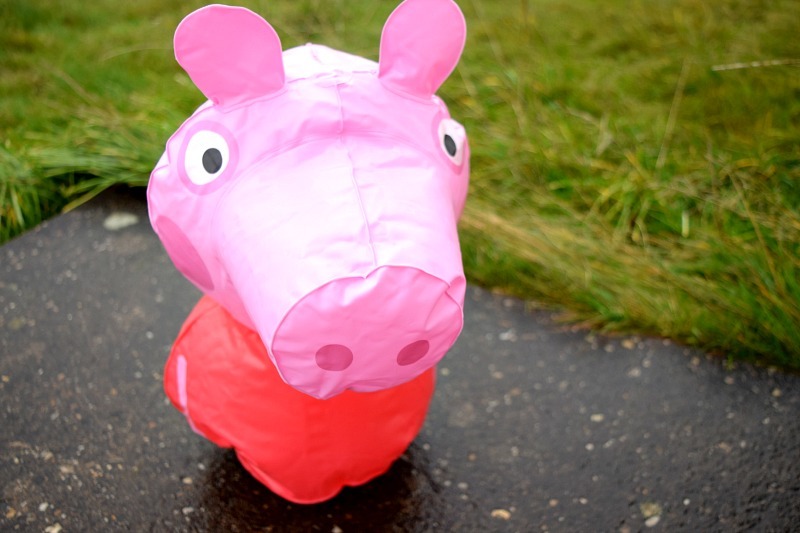 The Peppa Pig inflatable has a much simpler remote control making it easy to use for smaller children. Each box also contains a patch up kit in case of any accidents so you can patch up any holes and still use your inflatable. I thought that was great considering they are aimed at kids who are not always careful. They are a little bit temperamental I find you need to switch them on then use the remote quickly as they seem to go into sleep mode if you take too long. 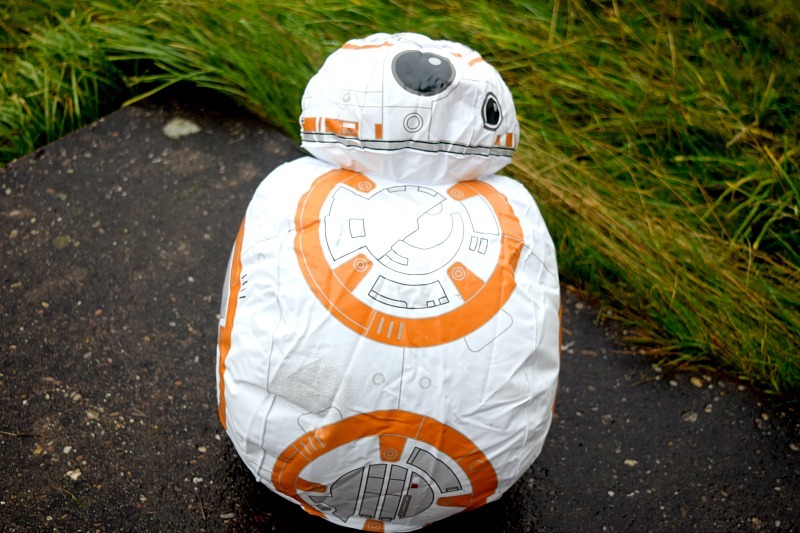 As well as being able to move, they also all make sounds, BB8 makes droid noises just like he does in Star Wars The Force Awakens, Baymax says a selection of iconic phrases and Peppa laughs and snorts. We also found they work much better indoors. They work really well inside but we had plenty of laughs outside as they were all over the place thanks to the wind! We never knew which direction they were going to go in. There are so many fun games you could create with these and have hours of fun. What did the kids think? Gracie and Zach loved them! They had so much fun, laughing and giggling as they crashed or started to go to fast. It was lovely to watch. Elsie was a bit unsure! She was quite scared of them and so I had to pick her up. When she is off the floor she is happy to play and join in but I think the sheer height of them freaked her out a little! They are much bigger than you expect. Peppa and BB8 are probably some of the smallest available but they weren't much smaller than poor Elsie and Baymax is huge! You can order yours now from www.bladeztoyz.co.uk or you can find them at many large toy retailers.